Prompt for Day 3: Write about the three most important songs in your life — what do they mean to you? Okay, so I already wrote about music yesterday and after reading the prompt a few hours ago before I slept on it I started to think about music in my life and how I found my favorites. Radio, albums, collectively listening with friends… growing comfortable with new tunes created by old favorites. It was so hard to keep an album free of inevitable scratches. Okay so here’s a few tunes that have overtaken me over my listening years. Stan Getz, Girl from Ipanema… This is my all-time favorite song. I get it! Stan the Man was my earliest musician inspiration. I fell in love with the sound of tenor sax when I heard Stan playing on my records and I could play along with him to the Girl… but I was happier to just listen to him transform the tenor sax into a voice, one of the voices on this tune. I miss my sax, but long ago I moved away from the tenor when I was able to own my own sax. The alto was more practical but it was never the same for me, never. I am listening to this song now in my head, hang on a moment. Miss you Stan the Man.. miss you. 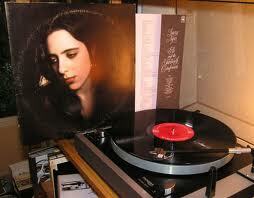 Laura Nyro: Emily, Timer… I dont’ have to write about Laura. Just did that last night but her music has been so critical to me since 1971, when I began my college life in dorms with friends. Laura Nyro came to me, after a few months of rejection. I found my way to her eventually. How could I not? There isn’t a Nyro song I don’t love but sadly, there aren’t any new ones, not for a number of years now. That was the saddest thing for me. She died and was a loser for her loss. Pause! Cancion I remember listening and watching my guitar teacher play it for a group of us and I was burning to learn it. When I asked Jon, he didn’t hesitate to grab a copy of the piece and begin to teach it to me, measure by measure. It was way beyond my ability at the time but he believed that if you are driven to play something, you will. Over the years, I’ve grown into Cancion. 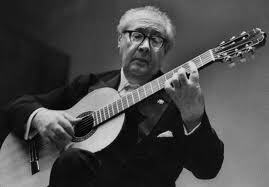 I listen to Segovia play it and I play along with him with the help of the amazing slow downer, software that slows a composition down to the speed you can handle without diminishing the authenticity of the piece. It’s an old friend, part of my musical core. This entry was posted in Wordpress 20 Day Marathon Challenge and tagged Day 3 Writing 101. Bookmark the permalink.